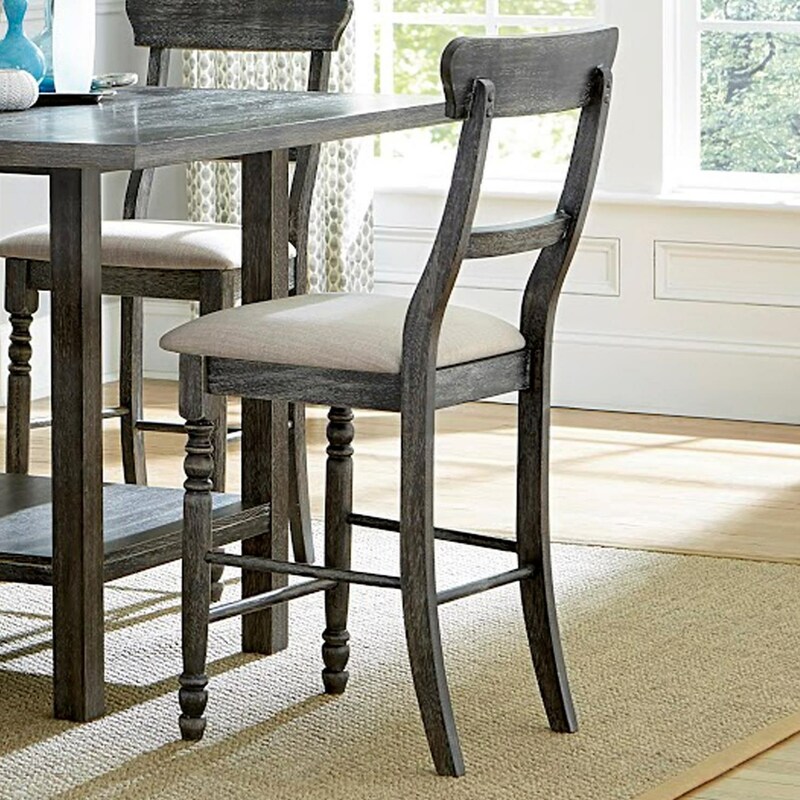 An aged brown-gray finish highlights the updated farmhouse style of this counter chair with a simple ladderback design and turned front legs. A linen tone upholstered seat completes the counter stool. The Muses Solid Wood Ladderback Counter Chair with Upholstered Seat by Progressive Furniture at Miskelly Furniture in the Jackson, Pearl, Madison, Ridgeland, Flowood Mississippi area. Product availability may vary. Contact us for the most current availability on this product.